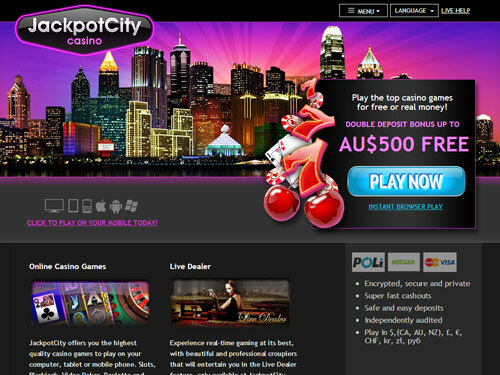 Jackpot City Casino New Zealand - Get up to $1600 and Win Big! 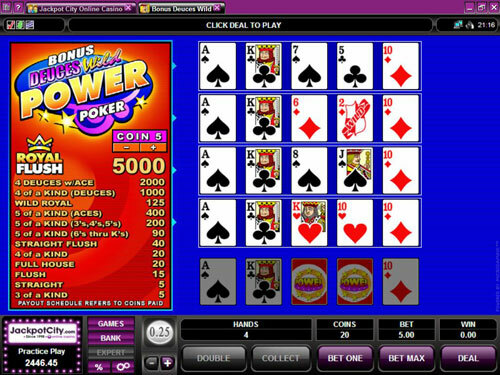 Jackpot City Casino was launched all the way back in 1998, making it one of the oldest online casinos that is still around. As a legitimate online gambling site, they are licensed in Malta. 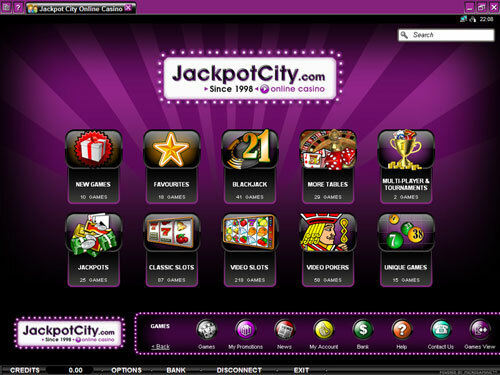 Jackpot City Casino uses Microgaming software for its games. The casino offers players a secure online gambling experience by using 128-bit SSL encryption. Jackpot City has an eCOGRA “Safe & Fair” certificate, which confirms that its games were tested for randomness by independent auditors. The average payout rates for all games combined at Jackpot City were 96.55% according to the last verification. Jackpot City Casino offers mobile games that can be played on various devices running Android, iOS and BlackBerry OS platforms. They also have live dealer games like blackjack and roulette. Players from New Zealand can receive up to $NZ1,600 free on their first four deposits. Other promotions, such as loyalty and VIP rewards are also offered. Gamblers from New Zealand will have no difficulty making deposits and withdrawals here. Many payment methods are supported, such as Visa and MasterCard credit/debit cards, InstaDebit and electronic bank transfers. Jackpot City has hundreds of different games. They offer table games, like Classic Blackjack and Roulette Gold, hundreds of pokies such as Mega Moolah, Avalon, Isis, Thunderstruck, Agent Jane Blonde, Burning Desire and Tomb Raider, video poker games such as Jacks or Better and All Aces, plus many other games that are unique to Microgaming casinos, like Mayan Bingo, High Speed Poker, Keno and Scratch Card. With so many games to choose from and new ones being added on a regular basis, anyone that enjoys gambling online will find games that they like playing at Jackpot City Casino.